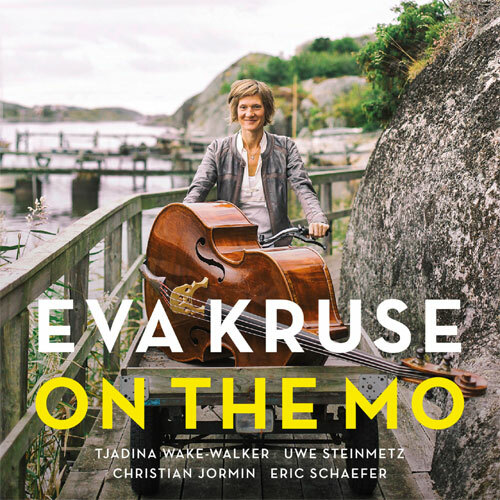 On her new album ”On the Mo” Eva Kruse created a unique and intriguing quintet sound. ”Mo” stands for ”Moped” and Eva made up the motto ”On the Mo – on the Go” that inspired her to compose the music for this album. ”On the Mo” is more groovy, more dense and more forward-moving as her debut-album ”In Water”. But even now the lyricism in the extraordinary melodies played by oboist Tjadina Wake-Walker and saxophonist Uwe Steinmetz is important in Eva´s music. Together with drummer Eric Schaefer and pianist Christian Jormin she presents a highly energetic but fine-tuned rhythm section. For ”In Water” Eva Kruse won a German grammy as ”bass player of the year 2015”.